Bomb blasts, gunfire, women and children peppered with shrapnel — these were some of the experiences of one Calgary cardiologist working at an emergency field hospital in Mosul, Iraq. 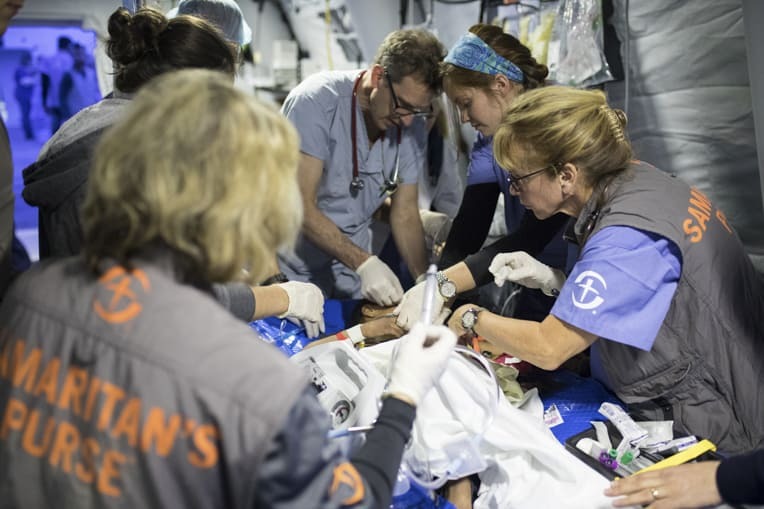 Dr. Karas — whose real name can’t be disclosed for security reasons — recently returned to Canada from a three-week medical mission with Christian relief organization Samaritan’s Purse, treating those injured in the ongoing battle between ISIS and Iraqi government forces. Before the medical field station was set up near Mosul, Karas said wounded patients were making a three-hour trek to the city of Erbil for medical attention, many dying along the way. Doling out care closer to the front lines, where sounds of artillery blasts rang ceaselessly through the day and night, was risky, but Karas said that was where help was most needed. Karas treated families, mostly women and children, fleeing villages ISIS had infiltrated, many landing in his care with gunshot wounds, embedded bomb fragments and injuries from landmines. But Karas said he grew conflicted when he was forced to serve another kind of victim — ISIS patients. Calgary emergency medical physician Dr. Tim — who also cannot release his real name for security reasons — is setting out for Mosul in early February to join the Samaritan’s Purse medical mission. While aware of the risks the journey poses, Tim said the plight of innocent civilians affected by the devastation in northern Iraq was something he couldn’t turn his back on. Karas, who is now back on Canadian soil, said the trip shed a new light on the life he lives at home.